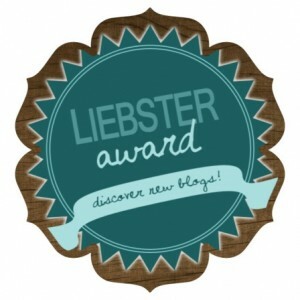 Leibster Blog Award/ My 100th Post! I thought it fitting that my nomination for my first blog award also be my 100th post, so here it is. I was recently nominated for the Liebster Award by the author of The Wild Garden Burbstead. Thank you very much, Gina and be sure to check out her blog. What you have to do to accept the award is to answer the questions given by the blogger who nominated you and to then nominate 5 blogs yourself. I posted the “official” rules below but here are the answers to my set of questions. Here are my answers: I currently live in a small town in a standard type house along with my two babies and their Daddy. No, we aren’t married, but maybe eventually. I work as a nurse in a local hospital where I love the job, but I don’t love the current state of healthcare and don’t really care to be part of that for much longer. I am very close to starting my life’s goal of building my own house on a homestead where quit my job and work on the land. That may not have been my life’s dream as is, but the bits and pieces were always there, slowly connecting into the plan I have today. I want for my family to have everything that I can give them in the best environment that they can be in. That may not be consistent with what others may think is the best, but it doesn’t have to be. I started blogging because so many people had so many questions about what it is that I am wanting to do with my life, but more often “why?” There are plenty of people who are interested in following our progress throughout our endeavor for different reasons. I like to think more think that we will succeed then fail, but either way everyone seems pretty skeptical. I like doing this blog because it forces me to organize my thoughts. You may think that this is not very organized at all, but it is far more organized then it would be if I hadn’t attempted organization in order to share. I hope that people who read my blog are inspired. Not just to try the things that I blog about, but also to follow their own dreams and to challenge themselves in their own lives. I am not that concerned about likes and followers, but it is always encouraging to know that people are interested in what I have to say. Comments are my favorite because that is as close to “interaction” with others as you can get on a blog. I am new at many of the things I am blogging about and always like input from those who may know better than me. So, that’s my story, hope you enjoy the blog! Thank the person who nominated you for the award and add a link to their blog. What inspired you to begin blogging? What do you enjoy most about it? What do you hope others will gain from reading your blog? How important is it to you to receive likes, comments and more followers? Nominate at least five bloggers who are relatively new or have a small number of followers. (Not all blogs post the number of followers, but you can usually look in their archives and tell when they started blogging.) It’s my understanding that the award is intended for newer bloggers to encourage them in their endeavor. Be sure to add a link to their blog so your readers will be able to go and see what they’re up to. List a set of rules on your blog. Inform each of your nominees that they have been nominated and let them know they need to see your posting of the rules on your blog. You can search the internet for more information about the Leibster Blog Award. You’ll find many variations on the rules. What I have here is pretty basic. You can also search “images” for the award and pick out the design you like best to post on your blog. I hope this award will be as much of an encouragement to all of you as it was to me. To each of you, keep inspiring and blog on! In all the time I have been researching what kind of house to build, I had never once even considered building an earthbag house. I have no idea why I kept looking past them, but I finally have started to consider them. First, the man suggested we build a smaller one to live in while we built our final house. I said “no” for a while, but he finally got me to cave and at least look at these houses. Then I decided that it would be a great temp house. But the more I thought about it, the more I thought about building a big one to actually live in. Right now they are my top choice. Here is the link to the book I’m reading in case you are interested in some good info on Earthbag building. So far, it has explained pretty clearly how and why to build these houses. It is the book that changed my opinion about earthbags. I like these houses for their simplicity. They seem like they would be so non-technical to build that I could get the kids to help us build. It is playing in the dirt, after all. The only things you need to buy from what I can tell are the bags, the barb wire, and things like windows and doors. My final selling point was that when they get wet, it makes them stronger. The area that I will be living in seems to get pretty wet, especially in the spring. And we could still build it as an underground house. Perfect. So how do I build one? You fill bags with earth (a clay, sand and water mixture to be specific). Stack them up with barb wire between the layers (to prevent sliding). The mixture dries out and hardens like concrete (this is why they get stronger when they get wet). You make frames for the doors and windows and build around them. There are different ways to do the interior and exterior depending on what you are looking for. Cob being one of the options. I haven’t read about plumbing and electric yet, but I don’t imagine it will be hugely different from any other kind of house. That is pretty much it. It seems as though this may be a really nice fit for us. We shall see.